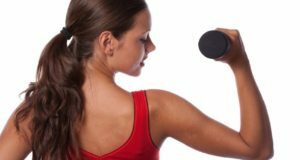 Home » Protein & Fitness » What Does Protein Do? Proteins are large and complex molecules that are vital to the function of the human body on almost every level. 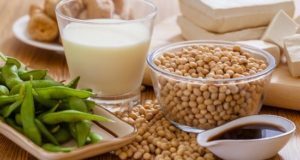 Nothing in your body would work properly without proteins, of which there are numerous kinds. Examples include enzymes, antibodies and messenger proteins all with their own important jobs and purposes. You hear all of the time that we must eat enough protein but you may not fully understand the extremely important role they play in your body. They do almost all of the work in cells and are made of hundreds of thousands of smaller units called amino acids. The way that the amino acids are linked in a protein indicate that proteins form and function. They make proteins 3 dimensional and are what decide what that protein’s purpose is. In short, they are very important and far from simple. This is why proper nutrition is so vital to a human’s health. Protein is vital to organ health, hormone regulation, strength, endurance, immune function and more. Proteins carry nutrients in and out of cells so they help you to absorb all of your nutrients, feel satisfied and stay healthy. This is something that is sometimes overlooked. Protein is not just something you eat if you want to lose weight or if you wish to build muscle. You must eat protein in sufficient amounts in order to be healthy in general. There is protein in every cell of the human body from skin to hair to nails. 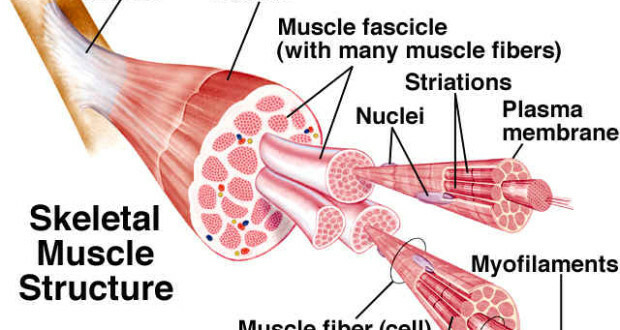 The most prevalent protein is collagen which is in your bones and ligaments. You would be able to walk, stand or move at all without these structural proteins. As we just discussed, protein is used by the human body for a number of things. It aids in cell regeneration, brain function and in hair and skin growth. 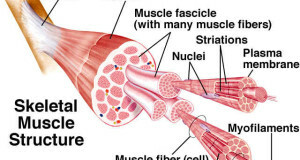 However, its most important and well-known function is probably that it is the basic building block for muscle. If you have ever spoken to a nutritionist or read a fitness magazine you know that protein is incredibly important for muscle growth and health. That is why bodybuilders tend to consume so much protein. However, you can consume too much protein and should always be careful when making any drastic changes to your diet. Protein is one of three macronutrients of which the other two are fats and carbohydrates. These three types of nutrients are needed in large quantities. However, when it comes to fats and carbs, the human body keeps stores. With protein, we have no reserves from which to pull. That means that we must be sure to get enough protein each day. Getting your daily protein intake is not difficult or expensive. There are many protein-rich foods which are quite affordable and accessible. For example, beans. Beans are a wonderful source not just of protein, fiber and other important minerals and vitamins. Meats, of course, are a great source of protein. However, one must be careful to choose lean proteins. Fish and chicken are the two best bets when it comes to meat protein. However, red meat is also fine in moderation. Increasing your protein intake is a great way to get fit and help with weight loss. Protein is filling, builds muscle and will help you to burn calories. Low carb, high protein diets are sometimes used by people looking for quick weight loss. This will help to get the body lean and shapely quickly. However, over the long term it is not recommended for sustained health and well-being. It is important to make sure and eat all 3 macronutrients as well as micronutrients, however. You can’t limit your diet or restrict whole food groups and expect to be healthy. Of course, if you get creative you can think of many more simple and delicious protein-packed snacks. When it comes to meals, always try and make sure there is a protein, a whole grain starch and a green as well as some healthy fats. These macronutrients all work in unison to keep you happy and healthy. 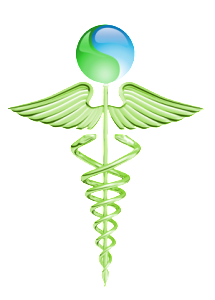 They balance your system and keep your body running smoothly and efficiently. So, what does protein do? A better question might be “What doesn’t protein do?” Protein is unbelievably important and vital to your health. It does most of the work for your body and there is no one kind of protein. The many different kinds all have very important jobs and each is integral to your overall well-being.